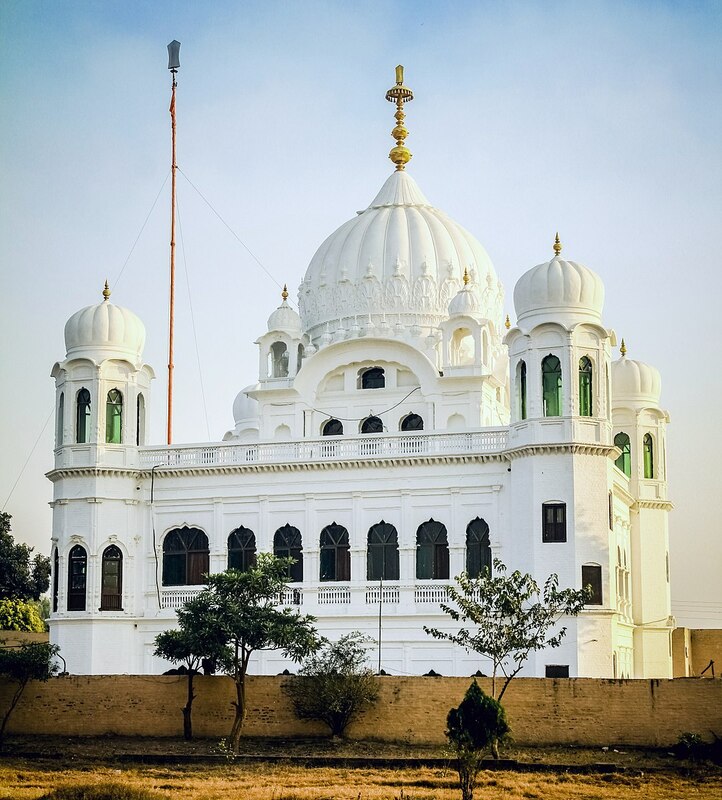 Civil society organisations working at the grassroots, and not just political parties, must be given credit for the Indian government's decision to finally build the Kartarpur pilgrimage corridor to Pakistan. On 22 November, the Indian government’s union cabinet approved the construction of a road from Dera Baba Nanak in Indian Punjab to the India-Pakistan International Border. The corridor – which would ultimately reach Kartarpur in Pakistan Punjab where the founder-saint of Sikhism, Guru Nanak Dev, spent the last eighteen years of his life – will provide Indian Sikhs visa-free access to one of the most significant pilgrimage shrines of their faith. 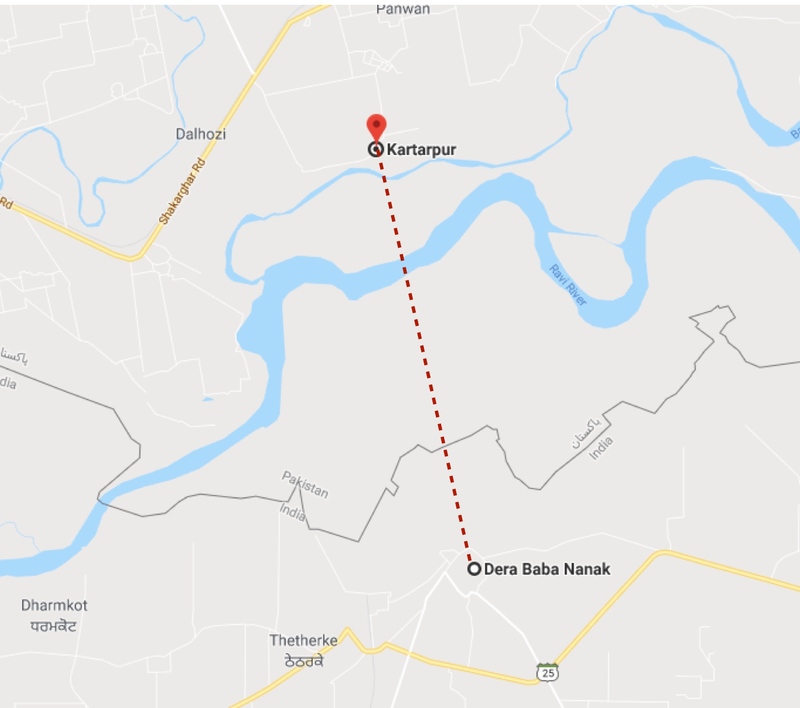 The much-awaited decision was taken on the eve of the 549th birth anniversary of Guru Nanak Dev, and is meant to cater to the needs of pilgrims who would want to visit Kartarpur for their patron saint’s 550th birth anniversary next year. What is intriguing to note is that until a few months ago, there were indicators that the Indian government was not in favour of this project due to security reasons. Sikhs in India have pined for such a pilgrimage corridor since a long time now. 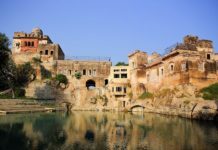 In fact, since partition, in their daily Ardas (supplication), they have prayed for ‘khule darshan didaar’ (open visits) to the Gurdwaras they parted with during the calamitous split of 1947. Pakistan Prime Minister, Imran Khan, will be inaugurating the road on the Pakistan side on 28 November and has invited Indian External Affairs Minister, Sushma Swaraj, Punjab (India) Chief Minister, Captain Amarinder Singh, and former cricketer and (Indian) Punjab minister, Navjot Singh Sidhu. Both Swaraj and the Captain have, however, declined the invitation stating pre-scheduled official commitments. Interestingly, the Bharatiya Janata Party (BJP)-led government in New Delhi has decided to send two Sikh Union Ministers instead – Hardeep Singh Puri, who is also a former diplomat, and Harsimrat Kaur Badal, who belongs to the Punjab-based BJP ally, Shiromani Akali Dal (SAD). The religious-political drivers behind this decision are less than subtle. 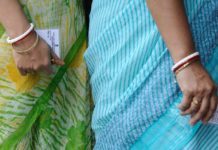 As usual, political parties in India wasted no time in jostling to take credit for the government’s decision as soon as it was announced. The SAD claimed that it was critical lobbying by Harsimrat Kaur Badal and a series of letters sent by the Shiromani Gurdwara Parbandhak Committee (SGPC) – an organisation that manages Gurudwaras in India – to the Indian government, which played a crucial role in New Delhi finally giving the green light. Unsurprisingly, the SAD was all praises for Prime Minister Narendra Modi for fulfilling a demand of the Sikhs. Its president, Sukhbir Singh Badal, termed the Cabinet approval as the Prime Minister’s ‘gift’ to Sikhs. However, the Congress Party, which leads the government in Punjab, did not really claim any credit for the decision. This is somewhat odd given that current Punjab Chief Minister, Captain Amarinder Singh, had written on more than one occasion to the Central Government, making a case for the corridor and bringing to notice the longstanding demand of the Sikhs. Not just any other hug? There is no doubt that Navjot Singh Sidhu’s recent (and controversial) Pakistan visit played a crucial role in the Kartarpur Corridor issue getting renewed media attention. Sidhu, who was invited for Imran Khan’s oath-taking ceremony, courted attacks by both the opposition parties and his own party members when he hugged Pakistan Army’s Commander-in-Chief, General Qamar Javed Bajwa. The former cricketer, however, stated that he got emotional after the Pakistan Army Chief told him that Pakistan was willing to open the religious corridor. After the recent decision by the Indian government as well as other steps taken by the Pakistan government, there is absolutely no doubt that the infamous hug between Sidhu and Bajwa brought the issue to the centre stage. In the midst of all the political noise, it is important to remember the contributions of civil society groups in bringing and keeping the issue under the spotlight. One such group is the Gurdwara Kartarpur Darshan Abhilashi Sanstha set up by late Akali Leader Jathedar Kuldip Singh Wadala in 2001. In 2006, an eight-member delegation led by Wadala visited Pakistan and met with the then Prime Minister, Shaukat Aziz, to take up the issue. Members of the organisation also met with former Indian Prime Minister, Dr Manmohan Singh, in Amritsar. In the aftermath of the Mumbai attacks, India-Pakistan relations went downhill and the issue lost steam. Yet, in 2010, a resolution was passed in Punjab Assembly in favour of the Kartarpur Corridor. Wadala, a former lawmaker, lobbied for this cause tirelessly, and on every masya (no moon day), he led a delegation of devotees for Ardas (prayer). After his demise in July 2018, Wadala’s son, Gurpartap Singh Wadala, a two time lawmaker from SAD has played an important role in increasing awareness on the issue. Another organisation, Sangat Langah Kartarpur, led by BS Goraya too played a critical role for over two decades in not just lobbying for the cause outside Punjab, but also sustaining awareness within Punjab. 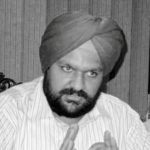 While the Kartarpur issue has been raised by political parties time and again, as and when the India-Pakistan bilateral has improved, these civil society organisations deserve immense credit for being perseveringly committed to this cause, irrespective of the political situation between both countries. 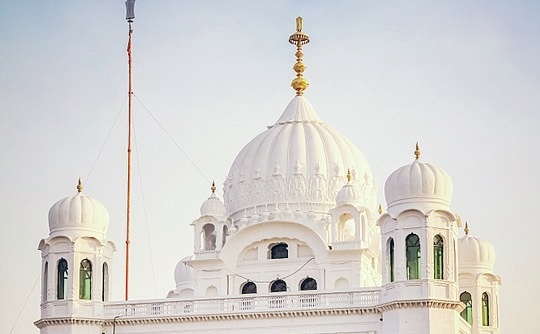 Another interesting aspect of the movement for the Kartarpur corridor is that the Gurdwara Kartarpur Darshan Abhilashi Sanstha has Sikhs from different ideological persuasions. The General Secretary of the Sanstha, Gurinder Singh Bajwa, who has been involved in advocacy for this cause for over a decade and a half is also involved in Punjab politics, but not as part of SAD. Perhaps, political parties can draw a lesson or two from this model of harmonious co-existence! These civil society groups and their tireless efforts to keep the issue relevant should be an inspiration for other civil society groups working for peace in the region. 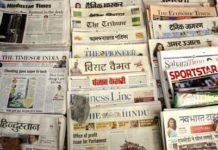 While the political class needs to exhibit grace, the media which restricts itself to the role of political parties, should also pay more attention to the role of genuine activists on the ground, and not just publicity-seeking politicians. In most cases, it is them who are most serious about taking an issue to its logical conclusion. Tridivesh Singh Maini is a New Delhi-based policy analyst currently associated with the Jindal School of International Affairs, OP Jindal Global University, Sonepat. Views expressed here are the author’s own.